The Friends of the Planetarium organizes and hosts public programs for one weekend each month. We've chosen themes for each month, and all the activities or presentations for a given weekend will be related in some way to the chosen theme. The Friends of the Planetarium will use donations from the community to purchase digital full-dome programming to complement the library being developed by Arlington Public Schools (APS). Check out our 2014 – 2015 schedule. The theme for December is Science and the Christmas Star. There will be two programs offered – one sponsored by Friends of the Planetarium, and one brought to you by Arlington Public Schools. 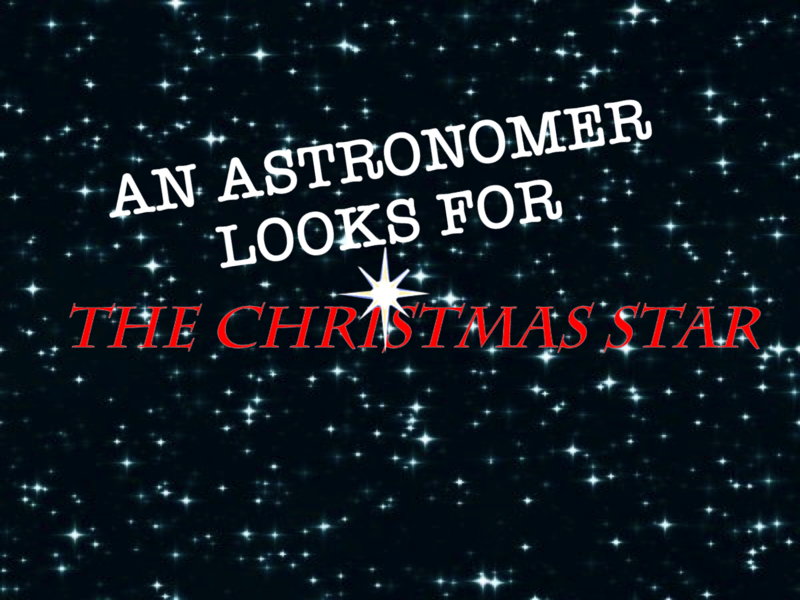 An Astronomer Looks for the Christmas Star. Credit: Alice Monet, Ph.D. In this first ever program to be produced entirely by members of the Friends of Arlington’s Planetarium, we will explore the natural phenomena that could have been the basis for the Biblical account of the Christmas Star. Using the new projector and its state-of-the-art planetarium software, we will travel back in time and space to see the skies of Bethlehem and Judea at the traditional time of the birth of Christ. The audience will be invited to explore the possibilities and vote for the explanation that seems most probable. Along the way, they will discover why some of the celestial events and phenomena that appear from time to time in the nighttime sky inspired both awe and apprehension among ancient peoples, and still do in modern times! Target audience is all ages. The digital show will be followed by Q&A with Dr. Alice Monet, President of the Friends of the Planetarium, and Planetarium Director Jonathan Harmon. Admission for this Friends of the Planetarium (FOP) program is $2 for Children (up to age 12), $2 for Seniors (60+), and $3 for teens and adults. Seats can be reserved on this website right now. Just click on the event you would like to attend in the boxed schedules at the top or bottom of this page and use our online form to buy tickets and reserve your spot. Some of the seating will be held for walk-in visitors. Unclaimed reserved seats will be released when the show begins. Tickets purchased in advance are refundable for any reason until the show for which they were purchased begins. Online ticketing will end 30 minutes prior to each show, and any unreserved seats will be made available on a first come, first served basis. To download a colorful 8x10 poster advertising this month's weekend, click here [2.9 MB pdf]. Season of Light. Credit: Loch Ness Productions. 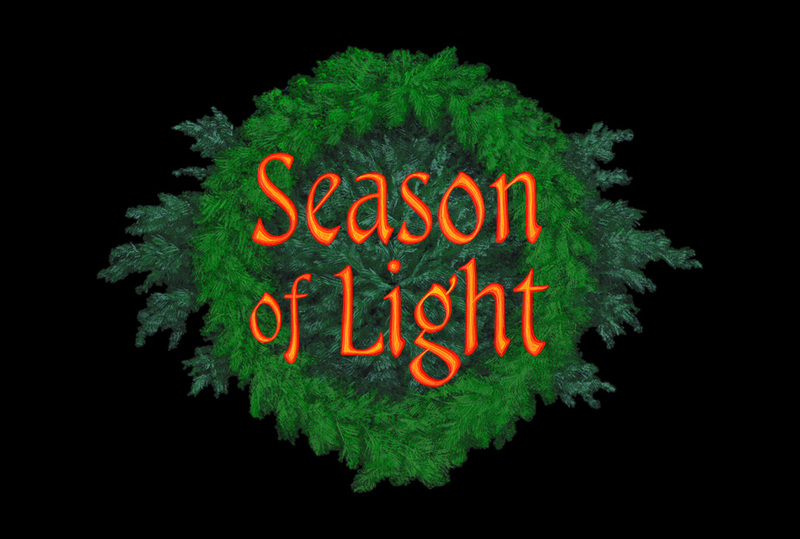 One of the most popular shows at the David M. Brown Planetarium, Season of Light is anannual holiday program about the coldest and darkest of seasons — a time which holds some of the warmest and brightest celebrations of the year. This multicultural presentation traces the history and development of many of the world's most endearing holiday customs, all of which involve lighting up the winter season. Audiences learn about a few Northern hemisphere winter constellations, find out why we have seasons, observe the Sun's path across the sky throughout the year, and see the Earth's tilt and orbit around the Sun. Target audience is all ages. Loch Ness Productions. Admission for this Arlington Public Schools (APS) program is $2 for Children (up to age 12), $2 for Seniors (60+), and $3 for teens and adults. Ticketing for Season of Light will be handled at the door, and will be on a cash only basis.